NC State recognized 33 outstanding faculty members at the 2016 Celebration of Faculty Excellence on May 3. The annual event honors faculty who have won prestigious state, national and international awards and accolades throughout the academic year. During the event, Chancellor Randy Woodson presented five professors with the Alexander Quarles Holladay Medal for Excellence, NC State’s highest honor in recognition of faculty achievement. Four NC State Board of Trustees members — Tom Cabaniss, Jimmy Clark, Susan Ward and Dewayne Washington — assisted in the presentation. The board of trustees established the Holladay Medal in 1992 in honor of the university’s first president. Each recipient has made outstanding contributions to the university in research, teaching, or extension and engagement. 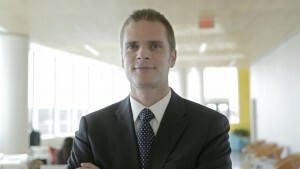 Jeffrey A. Joines received the University of North Carolina Board of Governors Award for Excellence in Teaching, the most prestigious teaching honor given to faculty at UNC System campuses. 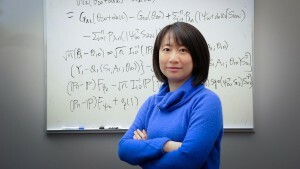 Joines, an Alumni Distinguished Undergraduate Professor and associate department head in the Department of Textile Engineering, Chemistry and Science, will be honored at NC State’s spring commencement on May 7. 2016 marks the fifth year of the Celebration of Faculty Excellence. 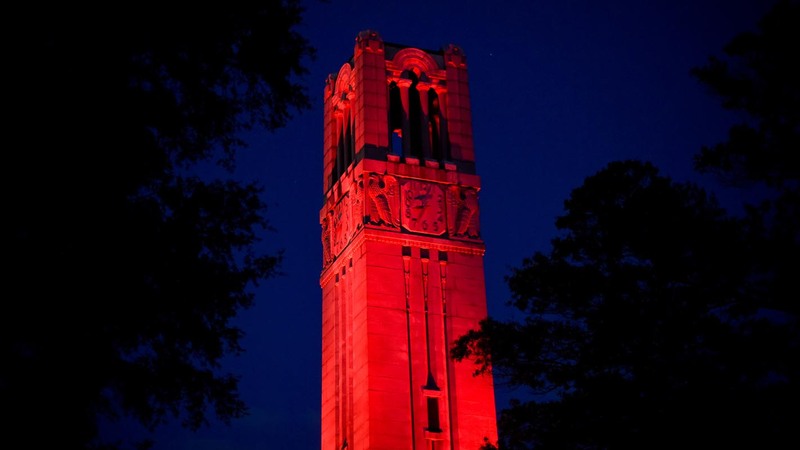 In recognition of all honored faculty, the university lit the Memorial Belltower red for the night. Outstanding! Thank you for all! 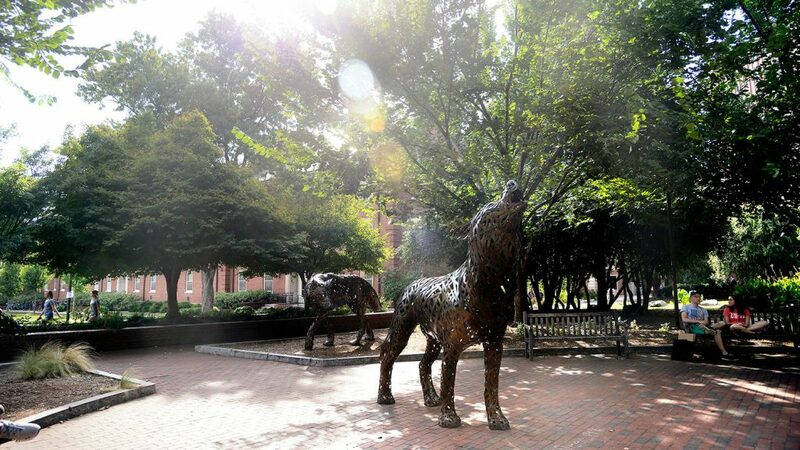 We are blessed to have so many talented faculty members in the Wolfpack Community!